Image by: Rufino Emmenegger, Copyright: Foundation Pro Monastery of St. John. 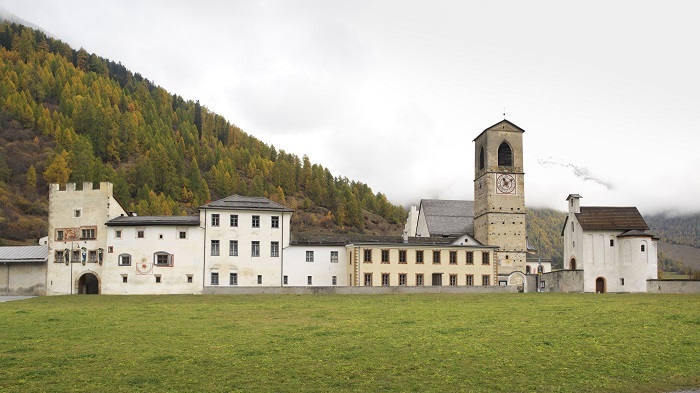 The 2019 Summer School of the UNESCO chair will take place in Switzerland: the activities of the first two days (August 24th and 25th) will be run within the 2019 edition of the MEM Summer Summit in Lugano, then the group will move to Val Müstair, home to the Benedictine Convent of St John at Müstair, a UNESCO World Heritage Site.The focus this time is on living heritage, which is living practices and expressions passed down from generation to generation and constantly recreated by communities in response to their environment, their relationship with nature and their history. The importance of living heritage is not the cultural manifestation itself but rather the wealth of knowledge and skills that is transmitted. - applications are open until April 30th.